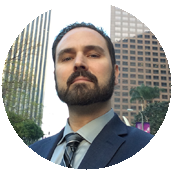 What to do when the agency doesnt pay you | Todd Olivas & Associates v3.0 | Court Reporting Services in Orange County, Riverside, San Bernardino, San Diego, Los Angeles, Irvine, Santa Ana, San Jose, Sacramento, Fresno, San Francisco, Bakersfield. TO&A employs no court reporters, interpreters or videographers of our own. The providers we send are fully qualified and reliable independent contractors. Hi Todd: I came across your blog last night and enjoyed reading it. I have a unique issue, however, that has not yet been addressed. I am a freelance reporter, and agreed to accept jobs from a new firm in [CITY]. In the last month, two consecutive checks were returned insufficient funds. After calling the owner, I was told her accounts were frozen. There is still approximately $2,500 outstanding, in addition to the bad checks, and now I have an O&5 that is due for her firm. Any advice you have would be greatly appreciated. I hate hearing stories like this. Unfortunately, it’s not an unheard of situation. The fact that the owner’s accounts were frozen does not portend well for getting paid very quickly. Because if things are that bad over there, rest assured that you are not the only one waiting for money. Who knows what other bills are piling up. Don't Hold the Transcript Hostage (as fun as that would be)! To add insult to injury, and as distasteful as it might seem right now, I would advise you to still turn in the O + 5 job. The reason for that is NOT as a favor to this firm but rather as your professional and ethical duty to NOT delay the underlying case or the parties. I know it may seem like you are giving up your only leverage left, but that is the right thing to do as far as your duties as the deposition officer. Unfortunately, I think that your situation fits the opinion here. I’m sorry! Attempt to inundate the firm with polite but persistent phone calls for your money. You could also enlist the help of a persuasive money collector like the one I use: Cynthia Dusenbery. If none of the above verbal communications work, write a letter to the firm stating your grievances with them and the total of the outstanding monies. In this letter provide payment options and a firm deadline to respond. If they do not act on your payment options, on the day immediately following the expired deadline, file a small claims lawsuit in the appropriate venue. Best of luck! I am sure you will get your money eventually.